Honda Two Wheelers has achieved yet another milestone by exceeding the 70 lakh sales mark for its highest selling 125cc motorcycle series, which includes the CB Shine and the CB Shine SP. As a result, the Shine range currently rules the 125cc segment with a staggering 51 per cent market share. The Honda CB Shine recently received a cosmetic update for a more premium look. This is most evident in the chrome-finished cladding on the front headlight cowl, new graphics and a 3D emblem on the fuel tank. New Delhi, October 31, 2018: Taking further its ever-growing leadership in 125cc motorcycle segment, Honda Motorcycle and Scooter India Pvt. Ltd. today celebrated yet another milestone. Creating a new record, Honda’s CB Shine motorcycle series crossed over 70 lakh customer base. India’s No. 1 selling 125cc motorcycle brand – CB Shine is the only 125cc motorcycle brand to be in the Top 4 selling motorcycles of the country. With its Shine series, Honda is the market leader in125cc motorcycle segment with 51% market share & also registered a 10% growth against 2% dip in the segment. The Honda CB Shine is powered by a 124.73 cc air-cooled, single-cylinder engine boosted by Honda Eco Technology (HET). Producing 10.16 BHP at 7500 rpm and peak torque of 10.30 Nm at 5500 rpm. The CB Shine with enhanced premium looks is available in 6 colour variants. The motorcycle comes with combination of new graphics with premium 3D emblem that generates a modern look. The long seat helps in comfortable and enjoyable riding. Equipped with Chrome Carburettor Cover, the motorcycle shines over the road. This festival you can take home your favourite motorcycle with an assured gift of FREE membership of ‘Honda Joy Club’ & stand a chance to win exciting prices like LG LED TV, Samsung Smartphones, Sony earphones etc. under the ‘Wings of Joy’ festive Lucky Draw. You can also win Maha Joy & Bumper Joy rewards i.e. Honda Brio car & Honda Amaze car! CBS Logo 2015: Sales grow 14% which is faster than 1% growth of 125cc motorcycle segment. Combi Brake System(CBS) introduced in CB Shine. 2018: Creates new record with 70 lakh unit sales milestone. Every second 125cc motorcycle sold is CB Shine. Share your experiences with CB Shine? 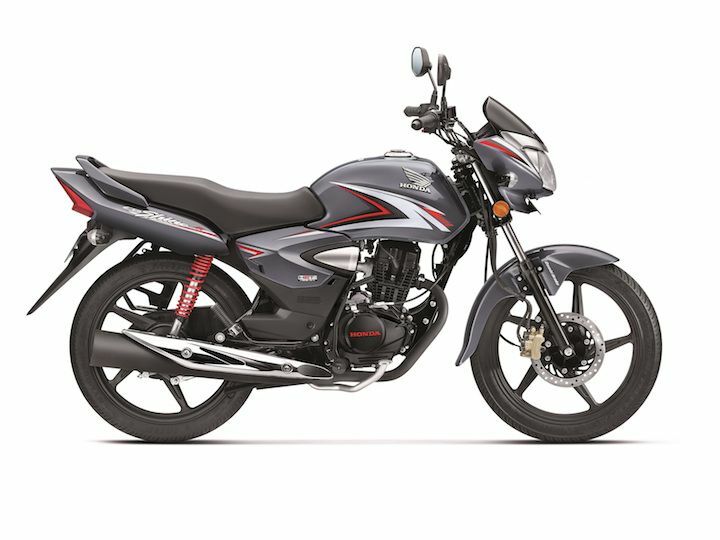 Confused about Honda CB Shine?